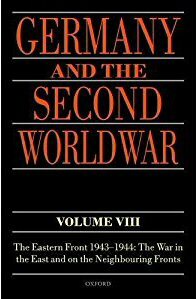 Military History Books, GERMANY AND THE SECOND WORLD WAR: VOLUME VIII,by Karl-Heinz Frieser,Oxford University Press,ISBN�9780198723462,The Eastern Front 1943-1944, ARMOURED FARMER: A TANKIE'S TALE,Malcolm Cleverley,�Woodfield Publishing,ISBN 184683029X,3rd Royal Tank Regiment (3RTR),"The West Country's Own", A BUCKET OF SUNSHINE,Mike Brooke,History Press,ISBN 9780752470214,RAF Canberra nuclear-armed squadron in West Germany, GAULEITER: VOL. 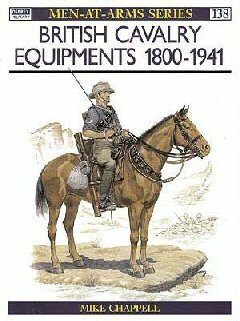 1,Michael D. Miller & Andreas Schulz,Bender Publishing,ISBN�1932970215,Adolf Hitler,NSDAP, OSPREY MEN-AT-ARMS 138: BRITISH CAVALRY EQUIPMENTS 1800-1941,Mike Chappell,Osprey,ISBN 9780850454796. The Eastern Front 1943-1944: Edited by Karl-Heinz Frieser and written by a team of distinguished German historians, this eighth volume in the magisterial Germany and Second World War series deals with one of the most eventful phases of the Second World War: the battles on the eastern front in 1943 and 1944. 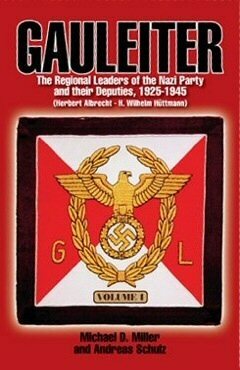 In no other period of the war, apart from its concluding phase in 1945, did the Wehrmacht suffer such enormous losses. The land battles of those years, first and foremost the battle of Kursk in the summer of 1943, were among the biggest in world history. In the winter of 1943/44 the Red Army showed itself for the first time capable of conducting large-scale offensives against all German army groups simultaneously. The dramatic climax was reached in the summer of 1944, when the collapse of Army Group Centre led to what was then the heaviest defeat in German military history. 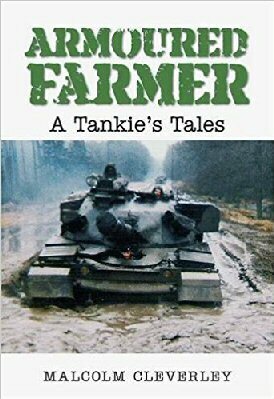 Amusing recollections of a tankie with 3rd Royal Tank Regiment (3RTR) during the Cold War years. The author looks back on his eventful years from 1976 to 1992 with 3RTR, known as "The West Country's Own" or "The Armoured Farmers". His recollections of the mischief that he and his colleagues got up to in their snorting metal monsters whilst on various deployments around the UK and Germany certainly make for enjoyable reading, and he takes great delight in recording their antics for posterity. 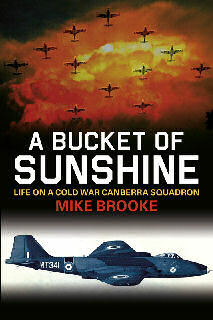 Life in a Cold War Canberra Squadron - 'A Bucket of Sunshine' was the term used for the use of a nuclear bomb. This is a firsthand insight into life in the mid-1960s on a RAF Canberra nuclear-armed squadron in West Germany. Mike Brookes describes not only the technical aspect of the aircraft and its nuclear and conventional roles and weapons, but also the low-level flying that went with the job of being ready to go to war at less than three minutes notice. Brooke tells his story warts and all, with many amusing overtones, in what was an extremely serious business when the world was standing on the brink of nuclear conflict. The opening years of the 19th century, saw the first moves towards standardisation and the beginnings of the demise of the system which allowed the colonels of regiments so much say in the equipping of their troops. From the influences of the Napoleonic Wars to the inevitable demise of the horse in military service brought about by the mechanisation prior to the Second World War, this authoritative text examines the historical development of British cavalry equipment 1800-1941.